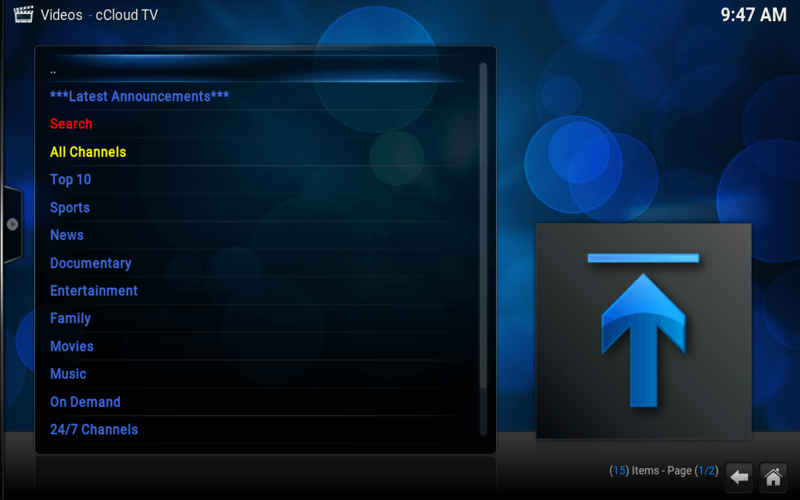 Kodi cCloud has been updated to version 1.3.6 and it brings a huge much-needed feature. Channels are now sorted by category, making things way easier to browse! This comes after the cCloud Kodi add-on was added to the cCloud framework earlier in the week, so channels get updated automatically when they are replaced and dead channels won’t show up in your list. Kodi cCloud requires help from the community to replace and update links in the add-on. cCloud is an IPTV Stalker alternative that has been around for a while, but is gaining traction in the Kodi community with the release of the add-on in the PodGod repo. cCloud is essentially a team dedicated to making sure that IPTV stream links are kept live and up to date. The team organizes m3u streams and playlists from around the web and updates the address within the cCloud interface. The new Kodi add-on brings those features over to our favorite media platform. 500+ live channels – Channels 1-25 and 63-75 should have a 24/7 runtime. Channels 26-49 have random uptimes and are not guaranteed. If you are looking to get an idea of what channels are available, here is a Pastebin link that may be outdated slightly but should give you an idea of what is available. The official website of cCloud is http://ccloud.corrent.org. The next update for cCloud will see it teaming up with joker.org, which is a service that allows you to stream any torrent file! The #1 thing that will make cCloud a true IPTV Stalker alternative is consistency and reliability, which remains to be seen over a long period of time. As well, there is no direct EG guide integration to cCloud, which is one of the things that made IPTV Stalker so popular. That’s it! You now have cCloud.